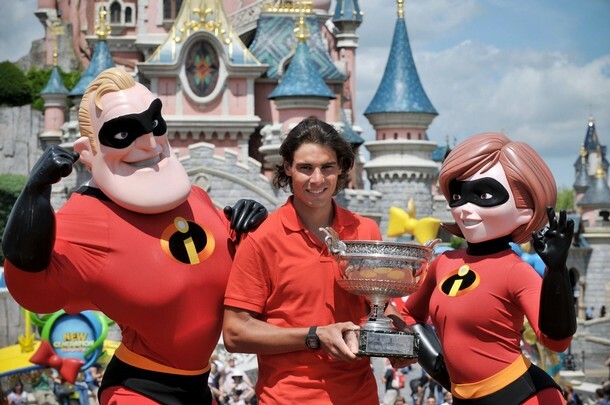 There's no better place to celebrate a meaningful win than at the Disneyland together with the Chipmunks, Goofy, Mr & Mrs Incredible, etc. 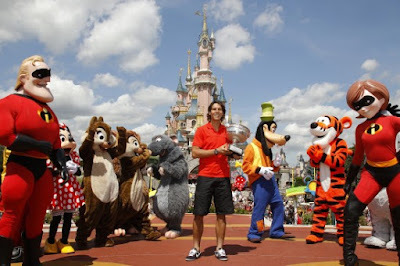 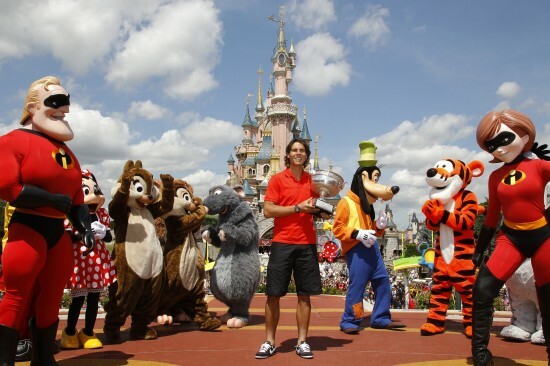 Rafael Nadal was posing in front of the Sleeping Beauty Castle during a photocall at the Disneyland Paris theme park in Marne-la-Vallee, east of Paris today. 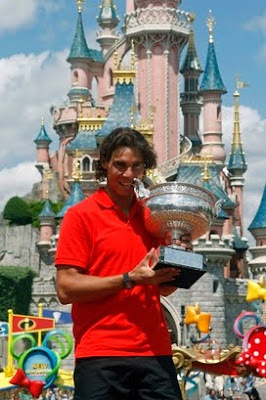 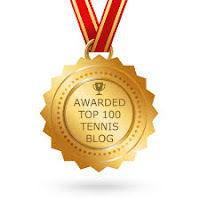 The King of Clay defeated, Robin Soderling in the men's finals at the Roland Garros stadium yesterday. 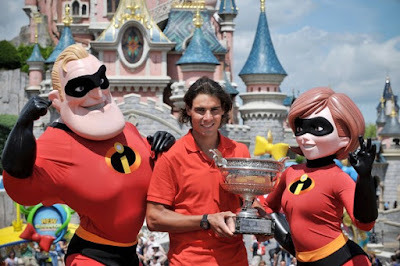 Nadal not only reclaim back his no.1 ranking, he also becomes the first player to qualify for the season ending 2010 Barclays ATP World Tour Finals.